Andrew A. emailed me a Tips request for single player campaigns. This is a frequent topic request, so I thought an ezine article was in order. Plus, there was a discussion on this very subject recently on the GM Mastery list and I haven’t had time to contribute, so I’ve packaged my thoughts into today’s issue and next week’s. Not only are the following tips good for single player games, but many of them can apply to one-on-one encounters that you might run. Hope you find them useful! Take a look at our latest adventure, Ruined Keep, an adventure for characters 7th-9th Level. Set in the Kingdom of Paleon, Ruined Keep is the follow-up to our first adventure, Goblin Cave. Check out our website for more information on Ruined Keep and a free web enhancement introducing our philosophy-based campaign world of Terra, as well as information on upcoming releases. One of the biggest challenges with single character campaigns is plot and how much of it you need to create. Encounters are going to be smaller than ones in multi-player games, and there will be no bickering or player discussions during games either. So, there’s going to be more encounters and therefore more story told in each session. That puts a lot of pressure on a GM to create more plots and encounters. The best thing you can do in this situation is place some of the plot responsibility onto the player. Have the player spawn new story and encounter ideas that you can run with and develop. The key to doing this is fleshing out the player’s character. Develop a fully detailed history, a few clearly defined goals, and some interests or hobbies. Create quirks, relationships, and personality traits. Detail the character’s appearance, daily life, and beliefs. These things provide you with a deep idea pool to draw inspiration from. They let the player contribute hooks, ideas, and suggestions without stepping on your toes, and you can tweak and use these things as you see fit to wrap story events, plot hooks, and encounters around. It’s up to the player to create this information about his PC, but avoid burdening him by demanding it all right away. Instead, use game play to develop these details. This accomplishes two things at once. It creates the PC details needed to help you manage the fast pace of storytelling, and it uses game time to do this, thus further easing your plotting burden. Character surveys. Keep them short to avoid over-working your player. Give them out between sessions as homework, use them to keep the player busy during sessions when you need some GM-alone time, or use them to decide what happens next in the game at that moment. A delivered message. “Your character receives a letter signed by your father. It reads ‘There has been a death in the family, please return home as soon as you can. Something strange is going on. '” Then you ask the player about his PCs’ family and develop details from there:Which family member could have died? What’s the PCs’ father like? What was home life like growing up? How does the family make money or survive? Where does the family live?As GM, you don’t need to know the answers to these questions before delivering the message plot hook. That’s the point– it draws this info out in a natural way during the game.Messages can relate to the PC’s family, work or employer, friends, belongings, and so on. Make the message pertain to whatever details you need fleshed out about the PC. Roleplay. Conversation is a wonderful way for a player to put on his character and take him for a drive. Questions and answers and a bit of conflict will help a player develop or refine his PC’s personality on the fly. Make conversations periodically drill down to reveal specific details about the character to provide you with tangible details for use in upcoming adventures and encounters.For example:NPC: How’re you today?PC: Pretty good, pretty good. You?NPC: I’m getting a cold, methinks. [Sniffs] So, what’s got you in such a good mood?PC: I just returned from a visit with mage who said my new dagger’s got some magical powers!NPC: Mage eh? Hmmph. Don’t trust ’em. What do you think of those folk?PC: Well, I don’t trust mages much either…NPC: [Interrupts] Me neither! So, what happened to make you wary of ’em?Also, allow your player to roleplay his PC differently in various situations during the early stages of the campaign. A core, stable personality will eventually emerge and you can both chalk variances up to moodiness, stress, lack of confidence, and character foibles. Scene co-creation. If your player is up to the challenge, comfortable with the process, and you each trust each other in your roles as player–GM, then let him co-create encounter and scene details. Note what the player creates as that often reveals character details.For example:GM: You step into the posh room and are asked to wait. You scan the room–what things catch your eye?Player: Well, the place is incredibly clean and the furniture is antique and in good condition. A large mirror hangs on the wall and I walk over to check myself out. I notice a few wrinkles in my doublet and smooth them over. I spot a gold candlestick nearby and stick it in my pocket…GM: [Laughs] Ok, you have just stowed away your booty when the lord walks in. You didn’t get a chance to appraise the candlestick so you’ll have to do that later.From this exchange, we might surmise the PC is a neat freak and of dubious moral conviction. 🙂 Run enough of these scenes and lots of character details should reveal themselves.Also note, in this fictional situation, how the GM went along with the free treasure grab and maintained campaign balance (however small scale) by making the candlestick’s worth unknown. As long as the player trusts his GM to be fair then this kind of scene co-creation can work well. Characters who are alone often live short lives. It’s very difficult managing physical conflict when there’s only one PC. If there’s any luck at all involved in your game system rules, then all it takes is a series of bad rolls to put a solo PC in the grave. There are a few remedies for this situation, however. Fudge dice rolls. I wouldn’t GM a solo player without a screen or some way of hiding my dice rolls. Your style might differ, but hiding rolls gives you an opportunity to save a PC from themselves and/or your own luck. Scale down foes. If you’re new to GMing or uncertain about GMing a solo PC, always choose weaker foes to begin with until you get a sense of game balance and your player’s style. If your player has no tactical sense, for example, then weaker foes will be a challenge anyway. Padding. More people and beings in a party means more targets and less risk to a solo PC. Safety. If a PC is alone and gets hurt, you either have to contrive a rescue (bad for sense of disbelief), put your adventure plans on hold (to allow for healing time), or hand a blank character sheet to your player and ask him to roll up a new one (bad for player morale). Plot hooks. Allow (or request) your player to flesh out the people who travel with him 24/7. 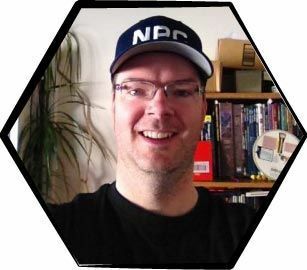 Not only does this ease the burden of NPC creation, but the details that emerge are a terrific source of encounter, adventure, and side-plot ideas. Player activity. One thing you’ll find in one-on-one campaigns is that your attention is in demand 99% of the time. There’s no party bickering, side-conversions, or groups discussions to give you a break and get some other GMing tasks done. Single player games closely resemble intense conversations–and you know how little time each person has to do anything other than listen and talk during an intense conversation.So, with NPCs to take care of, create, and flesh out, your player can be kept busy (yet still contributing in a meaningful way) for small periods of time, giving you a much needed break. Adventure planning. Unless your player makes a PC who is a jack of all trades, there are going to be some key abilities missing that are normally present in multi-player games. For example, if the PC is a warrior, the whole realm of magic is left vacant.This greatly impacts your adventure planning. You’ll need to attune the rewards and challenges to the PC’s abilities, and make available missing key ingredients to the player via NPCs and goods and services in your milieu.For example, if the PC is a warrior, I’d sprinkle more sages, NPC spellcasters for hire (but not travel), and healing possibilities (churches, magic items, herbs, magic pools, etc.) into the campaign. Tactics. Single character parties require greater tactical thinking on behalf of the player. Does your player like tactics? If not, then look for any ways you can ease common burdens during game play. For example, if a PC is alone in a dangerous wilderness or urban environment, who is going to stand watch? You might want to make some kind of collapsible early warning mechanical system available for purchase (requiring a side quest to acquire the funds, of course), or a guard dog, etc.Pay attention to the tactical difficulties your player has and make notes. Between sessions, think up solutions and hand them out as rewards during play. Avoid long descriptions, narratives, and speeches in single player sessions. I remember GMing a 1st Edition D&D module called Isle of the Ape. A great module, but at the beginning of the adventure it had two three-column pages of read aloud text! Small font size too. Many eyes glazed over, but no one succumbed to sleep fortunately.A single player is going to have to absorb everything you say. In multi-player games group memory is going to help everyone remember your clues, hints, and key pieces of information. In a solo game however, it’s easy for the player’s mind to wander for a moment, to notice something interesting on the character’s sheet, or to be distracted. Also, most people only remember a small portion of what they hear. That means your player is going to forget just about everything specific you say in a long description.So, keep your descriptions short.Split long descriptions up and dole them out over time. For example, when the PC enters a new room with lots to describe about it, start off with a quick overview and then get interactive. As the player asks questions or has his character wander around, go into detail about various things keeping each description as short as possible.Another technique is to be mysterious. Change boring descriptions into open-ended invitations for investigation. Instead of describing all the properties of a place, for example, tell the player that the furniture is quite intriguing without explaining why. Naturally, the player will ask why, and then you can explain further. While this might seem a bit convoluted, it helps the player digest things in chunks and keeps him attentive and focused because he can interact right away with you and his PC’s environment. A third technique is to use player handouts. Print out your notes or photocopy module descriptions so the player can listen to you, then read for himself, then refer back to campaign info whenever he needs. Stay tuned for more solo player tips next week! *** at www.TheHeroFactory.com ***In celebration of our third anniversary, all D&D and AD&D modules are 50% off until the end of October! Every module — even the ones that cost 35 or 40 bucks — half price. This is an exclusive sale for Roleplaying Tips subscribers only — it is not advertised anywhere else. Thanks for all your support over the last three years! I’ve seen a few tips about using miniatures to speed up combat, but what do you do if you want to create interesting NPC tokens on a limited budget? I gave away my Micro Machines collection and don’t have the budget for 25mm minis for my swarms of NPC characters. My solution has been using the images on Collectible/Customizable Card Games (CCGs) as NPC tokens. Every CCG on the market features high quality, visually interesting images, printed on good quality card stock. There are cards for virtually every type of gaming system, and common cards can be purchased at your local gaming store for about a nickel apiece. You can collect piles of Star Wars commons for your Sci-Fi group, and Lord Of The Rings and Magic the Gathering commons for fantasy games for about the same price as one nice miniature. The trick is turning these cards into NPC tokens. To make the tokens I found a 1″ circle cutting tool at a mall Scrapbook-making store. It cuts perfect 1″ circles in the cards and easily leaves me with rugged, usable tokens that I store in a 35mm film canister. I have also cut larger images of vehicles, animals, and monsters out that take up multiple squares on a battle mat. I’ve found that these types of enemies help my players get into character easily and start attacking “the Stormtrooper with the E-Web” instead of “the green die”. Try this tip out and the next time your players face a swarm enemies, see if it doesn’t make the combat a little more interesting. Slavery is not an attractive concept, I’ll be the first to agree; although it was practised for centuries, in fact millennia. Ancient empires, and victorious ancient armies in particular, were prone to regard the losers, their defeated army and the conquered population, as not only a form of resource but part of the loot! It might be all right for the owner, I suppose – although I wouldn’t fancy it personally – but it can’t be much fun for the victim. However, this article isn’t about the moral justification or otherwise of slavery in the real world, but about its use as an idea in fantasy or historical roleplaying. In a Fantasy mediaeval or ancient milieu it’s almost certain that some sort of slavery is going to exist with superpowered characters all over the place lording it over all and sundry! In fact, the mediaeval feudal system itself bordered on a form of slavery for the lowest orders, the serfs and villeins. And where else are all those evil overlords going to get their incredible armies? Not, in my opinion, that anybody in his right mind and purple trousers is going to sign up with the sort of loony who rises to the top in fantasy evil circles. But then, orcs, goblins, and the like are not bred for intelligence. However, we digress. Where slavery comes in, in my opinion, is as a plot device. It makes a great plot hook. You can hardly miss it, let alone refuse to accept it, if your character actually begins life as a slave! The whole story can begin with his or her efforts to get out of it! Either to earn his freedom in some way, such as the gladiator’s wooden sword, to earn enough money perhaps to buy his way out, or to escape captivity and make a run for it. Perhaps from somewhere deep in enemy territory with every man’s hand against him and the prospect of punishment or the death penalty should he be recaptured. The escaped POW would perhaps be a good candidate for that idea. Or consider the captured Pirate escaping from somewhere in the Middle East or on the Spanish Main? Perhaps the slave might earn his freedom in some other way. How about a slave who saved his owner’s life in some way, risked his own life to save a member of his master’s family, or did the owner some other great favour? Even if you don’t take that route, any heroic PC worth his salt is going to have some sort of dislike for the very idea of the slave trade and be up for some action against it. Even if the PC is evil, there’s something a little repellent about the concept; and you can surely find some way to give the character an incentive to go against it. Perhaps someone he knows has been taken? As character background, it’s a good beginning. There are so many different kinds of slavery. Even the incomparable Conan spent time as a slave. Most people can identify with the escaped slave, perhaps the galley oarsman or the man repairing the evil fortress, whose incredible labours have given him the strength of Hercules and incredible toughness. A slave gladiator can have learned just about any weapon or fighting skills. A bodyguard too. But that needn’t be all the escapee has gained in captivity, he may have lots of skills and proficiencies. You could explain some fairly strange mixtures of proficiencies that way. If he’s been employed in some kind of administrative capacity he could be literate, perhaps in more than one language. Remember that a trained slave is worth more to an owner! And he will be very good at whatever he does, because if not, the consequences would probably be unpleasant! Perhaps he’s also been trained as a spy or secret agent, or even an assassin? That would make a good NPC as well as a player character, he’d make an interesting behind-the-scenes villain? Perhaps under the auspices of someone else, whoever sent him in to cause mischief? And consider also his Master, or Mistress. Who was he the slave of? A decent person who treated him well, trusted him, perhaps even as a friend? Another reason he might have learned many things. And what happened to that person. Is he still around, and if not why not? Has our character or NPC vowed revenge on the man responsible for his old master’s death? Or conversely, if his old master was a bad one, is the quest for revenge against him ? Slavery can also make a great basis for a campaign. One of TSR’s module series was a campaign against slavers; and Joel Rosenberg’s Sword and the Flame stories center round the epic “war” against the mighty Slaver’s Guild. A mission, or several, might concern the finding and eventual rescue of an important person who has been enslaved. Maybe a friend, mentor, or old companion. Perhaps the heir to nobility, or even a throne. Perhaps there has been dirty work at the crossroads and the person has “disappeared”? Your players might be enlisted to secretly search for and find the missing person before he can be missed. Slave hated the sadistic former owner. He wants to kill him. Slave was punished unjustly for a crime he didn’t commit. He wants to prove his innocence. Slave was betrayed in some way by the former owner. He yearns for revenge. Slave’s family or wife/lover were sold. He desperately wants to find them again. Slave’s owner died and he/she was sold with the Estate. He desperately wants to go “home”, but cannot for fear of recapture. Slave loved the owner, who was murdered, and burns for revenge against the killer. Slave escaped during the commotion of a bandit attack or other emergency. Slave was left for dead, thrown overboard from the galley or whatever and his owner(s) think him dead. Slave was freed or manumitted for something he did. Slave bought his freedom with gold or information. Slave was freed deliberately in a raid by guerillas, the Underground Railroad, etc. Slave was manumitted in his old owner’s will. Brutal slavecatchers are on the slave’s track. He was accused, justly or not, of murdering his owner and a police agent or whoever is pursuing him. He was dedicated as a sacrifice and the Red Priests are after him to cut out his heart. He “knows too much”. He witnessed a crime or overheard an incriminating conversation, and someone influential wants him silenced. He bolted in panic, causing someone’s death, during the escape and his companions are seeking revenge. He’s the only survivor of the party that buried the treasure or hid the relic. The people looking for it are determined he’s going to talk and just as determined he’ll stay silent afterwards! He is equally determined he’s going to live long enough to get the treasure himself! Held as captive by non-humans, perhaps Dwarves or Elves, who perhaps didn’t trust him at the time, and consequently hates them intensely. Or, if his slavery was happy, perhaps vice versa and he prefers their company? His captivity has left physical scars, disablement, facial markings, tattoos, flogging scars, or the like, making his history easily recognisable and almost impossible to disguise. Some sort of magic, a Geas or its like, was put on him during his captivity and is still operative, although he may detest it. Perhaps he cannot do a particular thing or must befriend someone who knows the secret word? Or, he’s under a Charm, but it won’t show till the right conditions are met? The very idea of slavery now makes him incredibly angry, and he will go to any lengths to combat it wherever he encounters it. He has a lasting hatred for the race, nationality, religion, sect, or empire, or whatever it was that enslaved him. Something that happened during his captivity has left him with a phobia, such as claustrophobia, fear of snakes, spiders, or whatever, which will only surface when he’s under stress (DM’s decision). See the DM’s Guide for some good ones. He has difficulty in trusting or believing anyone or anything; at discretion this might just give him a + on his chances to disbelieve illusions or whatever? He’s of a different human race, thus standing out from the crowd and easily recognisable for what he is or was? Subject to the GM’s approval, his captors or owners, whoever they were, taught him some specific, useful skill or proficiency. Perhaps elven archery, locksmithing, an affinity with animals, or something else. The character has one bonus proficiency, but the player must explain this in some way and fit it in with his background. There are probably plenty more, but those should give you the beginnings of a few good character histories. Something I’ve done a few times when you’ve got a “Mass Battle” to play out and you just want rough positions of people/monsters without caring too much for stats and the like, empty a bag or two of smarties onto the table/mat! You can see at a glance where main forces are and which areas are being depleted of numbers and need backup. And, when a player kills something, they get to eat it afterwards. If battles are big enough that you have trouble telling friend from foe, use a different brand of ‘smartie’, or use skittles or something for one side. If you really want, this can work with smaller battles as well, but is better for large gatherings. I hafta give credit for this tip to whoever wrote “The Evercandy Story” Paranoia adventure on the net – that’s where I first learnt of this trick.